Thinking of getting new business cards? We think it's time to ditch your old-fashioned ones and go square. I've never been a fan of square cards until I saw one from a movie. The first square business card that really made an impression to me was from Hitch. Alex Hitchens is a professional dating consultant, and there was this scene where he met up with a potential client and handed over this small black square card. Apparently it was his business card, and that small black business card on his fingers for me was a symbol of who he is professionally: simple, stylish and successful. Aside from the obvious advantage of size - so small it only eats up a portion of your wallet - it's the sleekness and cutting edge design of the card that makes square business cards stand out. They are great especially if you have a unique brand style, and they are customizable and offer more design and printing options. Moo thinks square is the new cool because it's a proof of you being a "thinking-outside-of-the-box" individual - and we couldn't agree more. You can check out Moo's square card templates and avail of the discounts that they're currently offering for printing your business cards. 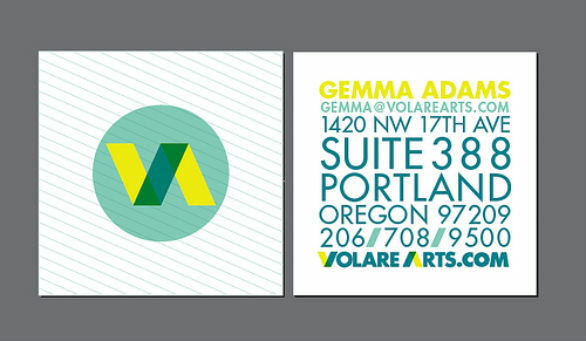 If you're feeling uninspired and thinking of a new look for your business card, here are some of the square card designs that we think really work and that you can try as your own. The design ideas are limitless and you can experiment with whatever type of branding that you want. Whatever industry you find youself in and no matter what type of business you have, you can find a square card design suitable to your needs. Love the designs or want to share a design of your own? Send us a link or leave us a comment below!